Our spacious double rooms are provided with everything you need for a comfortable stay: a bathroom with floor heating and a large rain shower, a Nespresso coffee machine and a comfortable box spring bed. Every double room is unique in design and layout. 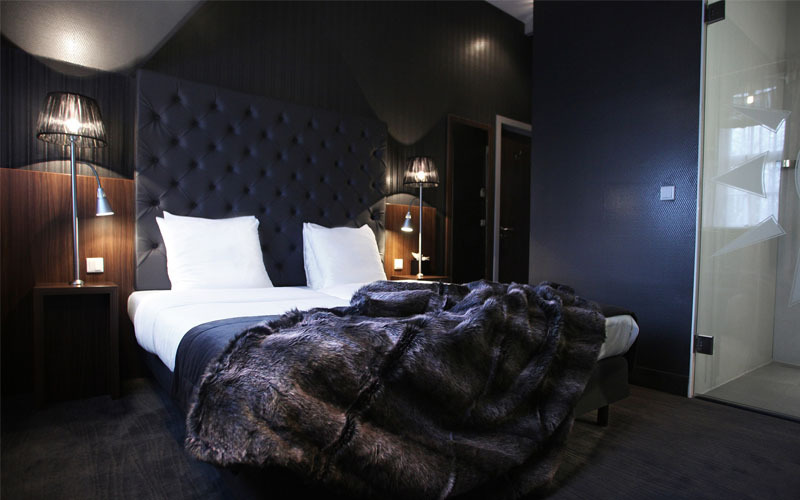 Hotel Bloemendaal offers two unique suites. Both suites offer everything you expect from a luxury suite and more, including a great place to work and a Nespresso coffee machine. In the warm, red suite, you can enjoy a walk-in shower with double rain showers; the black suite is characterized by its stylish look and mosaic-designed shower. 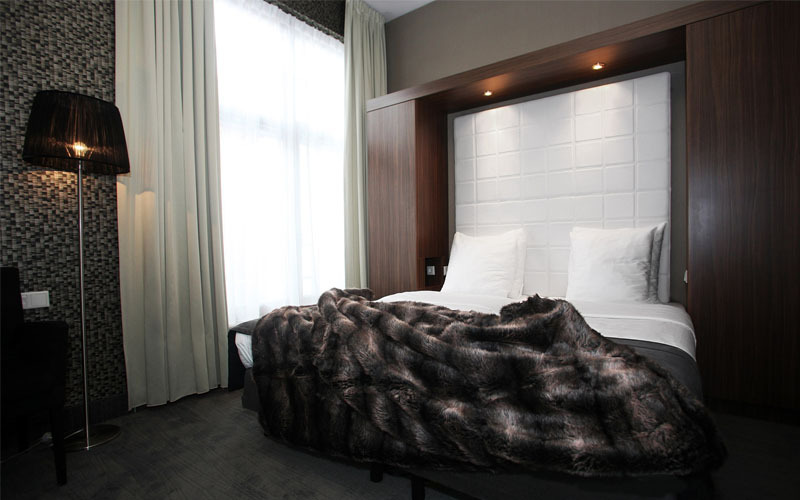 Our luxury rooms really offer everything you need. Extra long box spring beds, spacious bathrooms with floor heating and something extra! All rooms have something that makes them stand out: a balcony, a large walk-in rain shower or a view that overlooks the park. 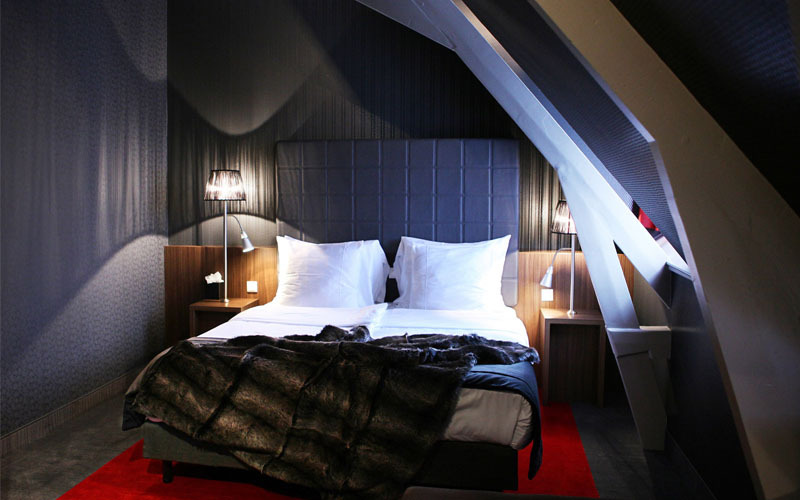 Moreover, one of the luxury rooms is especially suited for disabled. Come in and relax! The romantic wellness or honeymoon suite provides all luxury you can imagine. The double bath, designed by Philippe Starck, is located in the middle of the room and immediately catches the eye. 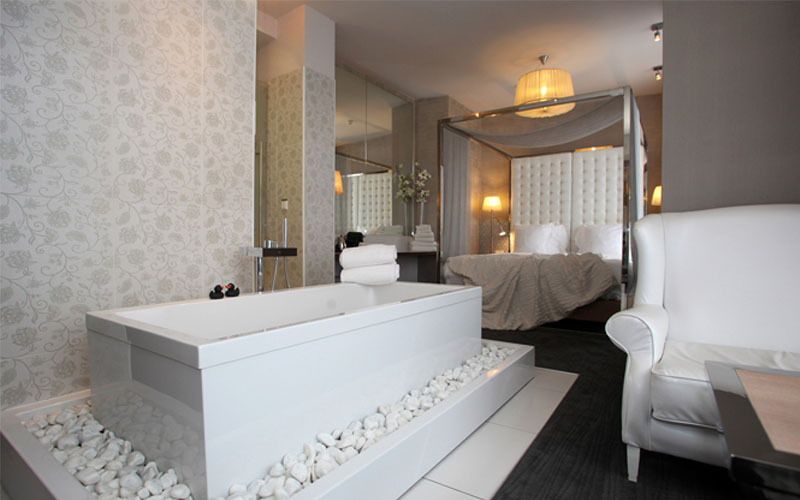 The bath makes the wellness suite an ideal location for your wedding night! 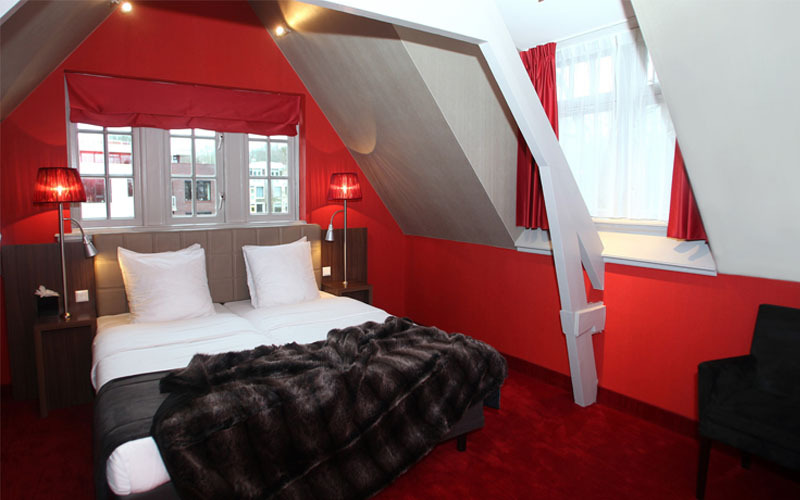 Our cozy double room is a delightful and well-priced choice when spending a weekend in Bloemendaal. The comfortable room of approx. 25m2 offers a warm rain shower, a large box spring bed, and a Nespresso coffee machine.